2.0 to affect cell phones sales: How logical is COAI's claim on Rajinikanth film? COAI believes that S Shankar's 2.0 movie might influence consumers to shun mobile phones. Over the last several decades, we have seen over-sensitive fringe groups calling for a ban on movies over bizarre reasons in India. While most have been related to defaming religion and people, the latest call came from the Cellular Operators Association of India (COAI) to stop the release of Rajinikanth and Akshay Kumar-starer 2.0 movie, taking the issue to antirely different level. COAI in an appeal to the Central Board of Film Certification (CBFC) has asked for imposition of a temporary ban on the screening of 2.0, as it presents a wrong picture on mobile phone usage and phone towers. They believe that the Shankar-directed movie is—"obscurantist" and "anti-scientific" –and might influence consumers to shun smartphones. As per the movie script and trailers, the antagonist Dr Richard aka Dr Crow (played by Akshay Kumar), an ornithologist, believes that the increase in mobile towers would cause release of electromagnetic radiation, which has harmful effects not just on humans but also on birds and other species of the nature. This apparently irked the COAI and has asked CBFC to revoke the U/A certification, which was already given to Rajinikanth's movie 2.0 and recertify it and also cut controversial dialogues and scenes in the movie. Though the Indian film industry is guilty of bringing several banal and illogical movies to the giant screen, for the first time, that too surprisingly COAI, which is headed by experts, has made such a demand on creativity. COAI in its argument remained very selective, considering the fact that there was a Hollywood movie - 'Kingsman: The Secret Service' with a similar theme and released way back in 2014. In this particular movie, the Internet billionaire and philanthropist Richmond Valentine (played by Samuel J Jackson), offers world SIM cards to people that grant free lifetime cellular and Internet connectivity. But, Valentine has an ulterior motive to control the people of the world. With the help of some evil scientists, he developed a new mobile SIM card. When activated, it generates signals that can control humans. To test its capability, Valentine triggers SIMs of a select group of people in a Church causing the parishioners to become murderously violent. 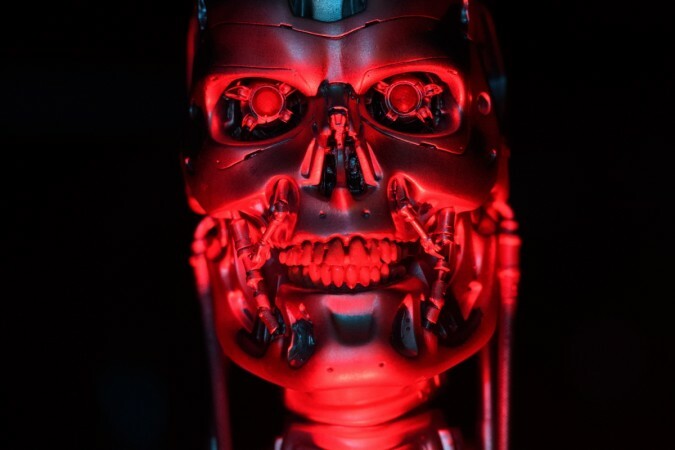 2.0 is more on the lines of the 1980's cult movie 'The Terminator' that was anti-Artificial Intelligence (AI) and projects the future where robots would take over the humans and try to wipe them out from the face of the planet, but no objection was received from the tech community then. At a time when Google's Home or the Amazon's Echo smart speakers, based out of AI-powered machine learning, are selling out like hotcakes across the world, while similar 'Internet-of-Things' products are expected to enter the market in the coming months, the call by COAI seeking a ban comes as a strange move. Same applies to mobile phones, recently Apple and Google have released digital health tracking features in their latest iOS 12 and Android Pie, respectively to control the addition of the phone. This will enable users to know how much they spend on the phone and set a timer, beyond which they won't be able to continue using the app and also cap its usage by children. This has a direct impact on cellular operators who want consumers binge use data. So, why haven't COAI complained about these apps? Also, there are reports that radiation emission from the phone during long calls may have an impact on health. That is exactly why Specific Absorption Rate (SAR) information mandatorily listed in phones and retail box. For those unaware, SAR provides a straightforward means for measuring the Radio Frequency (RF) energy exposure characteristics of cell phones to ensure that they are within the safety guidelines set by the Federal Communications Commission (FCC). All phones mandatorily undergo lab tests to show the RF energy exposure even at extreme cases must on have harmful effects on biological (cells & tissues) and liquid (chemical) composition of human body particularly in the brain. It may be noted that FCC's norm dictates that SAR level should be at or below 1.6 watts per kilogram (W/kg) taken over the volume containing a mass of 1 gram of tissue that is absorbing the most signal. In Europe, mobile phones, and other such hand-held devices, the SAR limit is 2 W/kg averaged over the 10 g of tissue. But, they are usually done for a few minutes per day for a person with the average human build. It also doesn't take into account children who have a smaller stature. As of now, there is still no accurate measurement that we fully know the effect of long-term RF energy exposure on the human body and the research is still ongoing. Also, there are reports on the Internet that people particularly men, should avoid keeping mobiles in the front trouser pockets as it might have an adverse effect on their sperm count. This is also another unsubstantiated rumour and requires research. Recently, another research study surfaced online arguing that long exposure to mobile signals can affect heart beat. There are several hundreds of reports which put a negative spin on mobile usage on Internet, which is empowering people to greater depts of information around the world. Just the release of 2.0 movie is unlikely to impact people, that too negatively when authentic information is available all over the Internet. 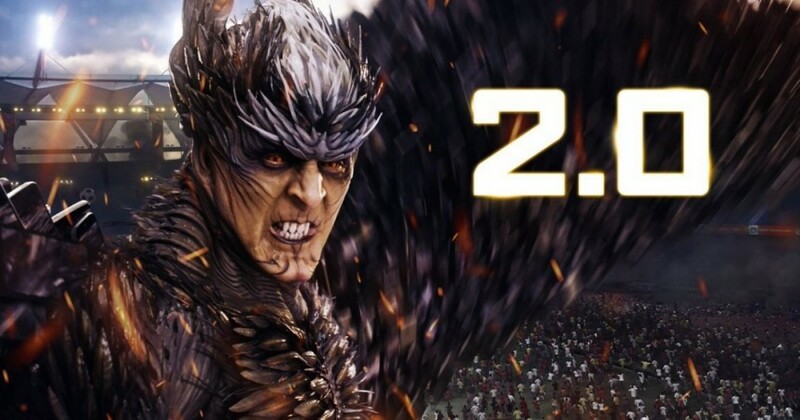 The 2.0 movie is slated to hit more than 10,000 screens across the world on Thursday, November 29.